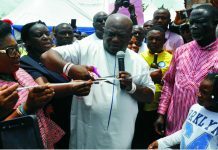 The River state Government has commissioned Kalabari Central Market with the aim to stimulate economic development. The Commissioner of Agriculture,Mrs Onimim Jacks who represented the Deputy Governor, Mrs Ipalibo Banigo commended the people for their peaceful disposition and urged the council to make good use of the facility. 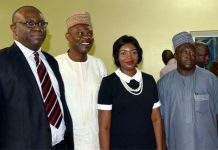 The commissioner assured that the present administration will continue to construct facilities that would enhance the development of rural areas in the state. Speaking at the event, the Chairman of Asari Toru Local Government Council, Hon. 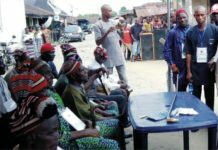 Wright Promise Warmate said that the Kalabari Central Market at Abalama will not only promote trade but will bring back peace among the Kalabari Kingdom. 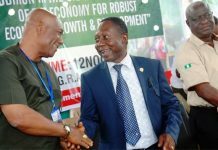 Warmate commended the Rivers State Governor, Chief Nyesom Ezenwo Wike for the initiative, noting that the project would stimulate economic development among the people of Kalabari Kingdom. 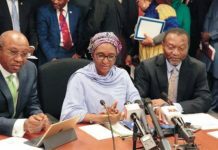 The Council boss also stated that the project embarked and commissioned by the present administration was part of the fulfillment of the Governor’s promises to extend infrastructure to rural areas and stimulate economic activities. According to him, “the project is a felt need in the area and the success of it is an eloquent testimony of the restoration of peace in Rivers State by the government of Wike’’. Warmate urged all stakeholders to key into the policies of Governor Wike, and promised to galvanise support from the organised private sector towards achieving the lofty objectives of the state government. He enjoined the people of Asari-Toru Local Government Area to maintain the peace so as to attract more development. The unveiling ceremony was performed by the Rivers State Commissioner for Agriculture, Barrister Onimim Jacks who pledged her ministry’s continued support towards the growth of the market. The event was graced by the Commissioner for Budget & Economic Planning, the representative of the Amanyanabo of Kalabari, the Amanyanabo of Abalama, HRH Big Tom Tom among others.